While marine advocates fret over the plight of sharks and their fate at the hands of commercial fishermen, another of the shark's relatives is heading into perilous waters: the majestic and graceful Manta Ray. Given the unfortunate nickname "devil fish" by local fishermen, the manta ray, which can attain an enormous 25-foot wingspan, is a filter-feeder and completely harmless to humans (it does not have a stinger like other rays). 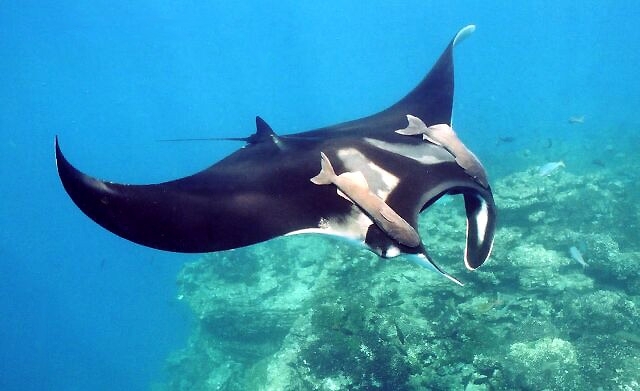 Similar to baleen whales, the manta ray draws water through its mouth and, as it passes through its gills, structures called gill rakers strain zooplankton from the water. What has put the manta ray at risk - it is currently listed as "vulnerable" to extinction by the International Union for Conservation of Nature (IUCN) - is that they are hunted in some quarters for those gill rakers, a favorite of traditional Chinese medicine, and they are also caught as accidental bycatch. Part of the elasmobranch subclass that includes sharks, skates, and rays, the manta ray, like their relatives, does not have a high reproductive rate. So, they are not well-prepared to withstand high losses. However, there's much we do not know about these large rays that are so popular with scuba divers and snorklers in several tropical resort locations, representing not only a threatened species but a tourism generator as well. To fill the gap in our knowledge, a recent study which was just published in PLoS One used satellite tags, the ones often used on sharks and other pelagic fish, to learn more about the movement patterns of manta rays. Organized by the Wildlife Conservation Society, UK's University of Exeter, and the Mexican government, the study involved tagging six manta rays - four females, one male, and one juvenile - over a 13-day period off the coast of the Yucatan Peninsula. In that approximate two week period, the manta rays mostly stayed within 200 miles of the shoreline but did travel a good distance. 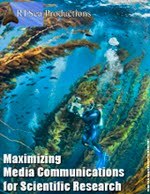 Of concern was the fact that, with the rays not necessarily staying centralized to one area but more on the prowl for waters rich in zooplankton, they spent a considerable amount of time outside the boundaries of marine protected areas and, by doing so, putting themselves at risk from commercial fishing, being caught in nets accidentally, and even exposing themselves to the risk of being struck by large ships. Less than 12 percent of the locations where the tagged animals were tracked were within marine protected areas. 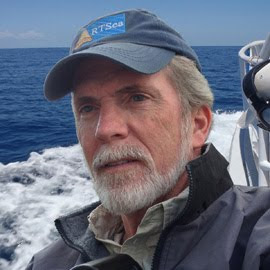 We can only hope that this and other future studies will provide a base of knowledge that will motivate governments and international agencies to take steps to arrest the apparent decline in manta ray populations. All filter-feeders play a role in maintaining the proper balance in zooplankton and other microscopic marine animals. 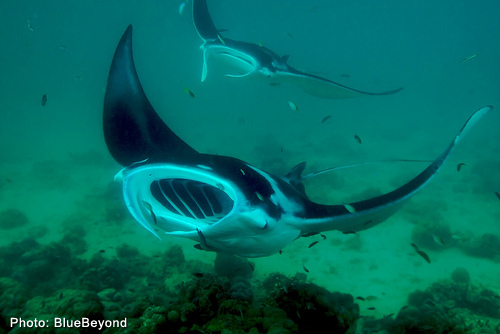 Were we to lose the manta ray, we would be faced with unknown consequences.